St. Vincent de Paul has asked Ye Olde Art Shoppe to sell some artwork for them to help raise money for their organization. Here is information on the art work. Artist Jack Vettriano, born in Scotland 1951. His birth name was Jack Hoggan. Jack started painting at age 16. 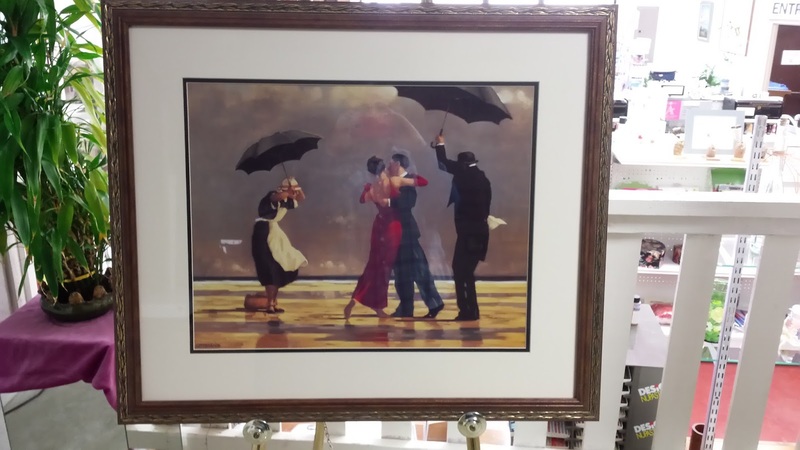 We have one picture by Jack Vettriano. Eva Macie is an American born artist born in the 1930's. We have two pictures by Eva Macie. There are three pictures with no artists names. Here is a picture by Jack Vettriano.